Look like a Goddess in this form fitting gown from Clarisse! Style 2601 comes in three gorgeous colors Blue Mist, Petal Pink, and Red. Accented at the waist and neckline with silver crystals for a simple yet elegant look. A gorgeous Grecian look, style 2601 is perfect in its simplicity. It is made up of charmeuse, a soft fabric that feels like liquid as it cascades along your figure. You will feel like you�re wearing nothing at all. The top has a scoop high neckline with a small keyhole front and an open keyhole back. A small mesh line around the middle has horizontal geometric crystals that sparkle. The gown simply falls from there, just caressing your curves as it goes. Choose to wear this in Petal Pink and you�ll look feminine and graceful. Choose this in Blue Mist and you�ll look flirty but with an icy side. Choose the red in this style and you�ll sizzle. 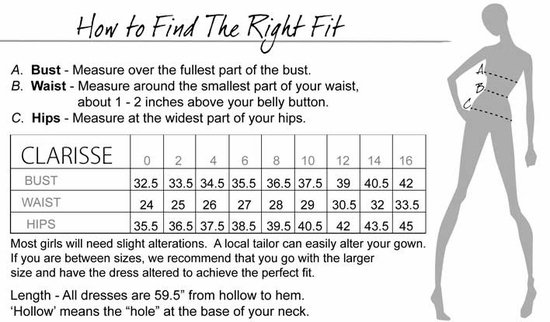 PRODUCT REVIEWS FOR Classic Fitted Formal Dress 2601- 3 Colors!